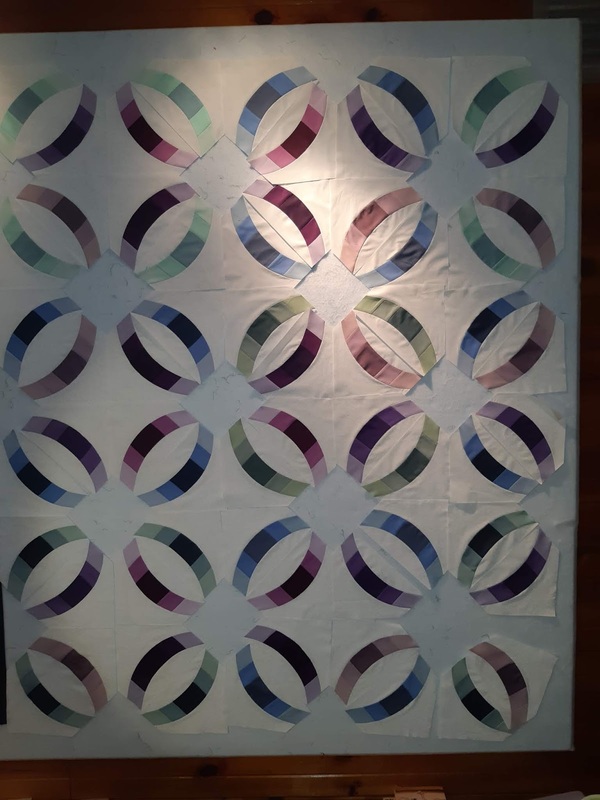 I have sewn the curved arcs into one quarter of the quilt's blocks which means I have sewn 120 curved seams and I only had to re do one so far so needless to say I am very pleased and not a single pin was used! The lighting isn't the greatest, but this gives you an idea of what it will look like with nine different colours of intersecting rings. I had ten different sets of coloured arcs, but decided not to use the grey ones. This afternoon I started to add triangular corners and sew the blocks together. 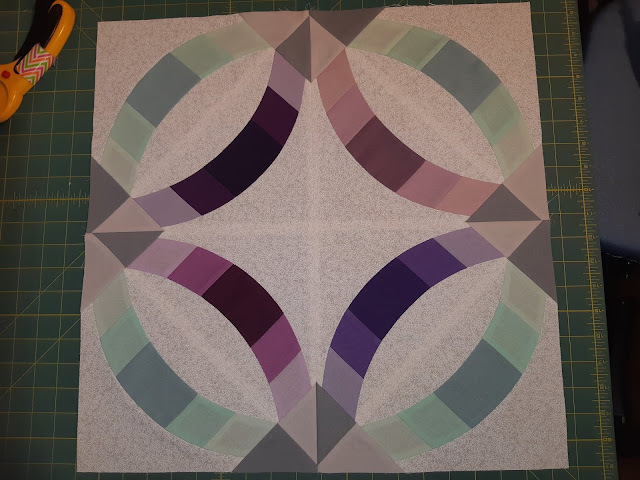 I decided to use two shades of grey for the neutral intersecting corners which is why I decided not to use the grey for any of the arcs. Here are the first four blocks sewn together. It looks fantastic!! :D It really comes together with the two-tone grey corners!